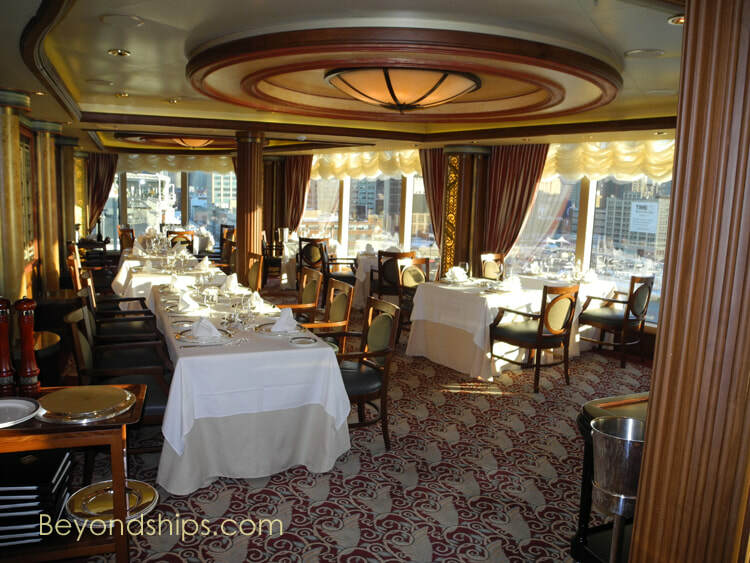 On Cunard ships, passengers in the top cabin categories are assigned to the Grill restaurants - - The Queens Grill and the Princess Grill. Both are considered five-star restaurants. 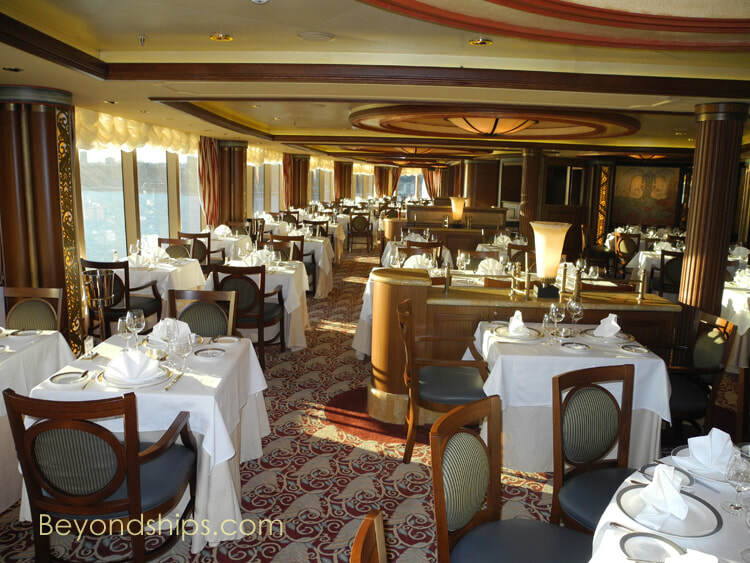 They are single seating and guests can come at any time the restaurants are open. 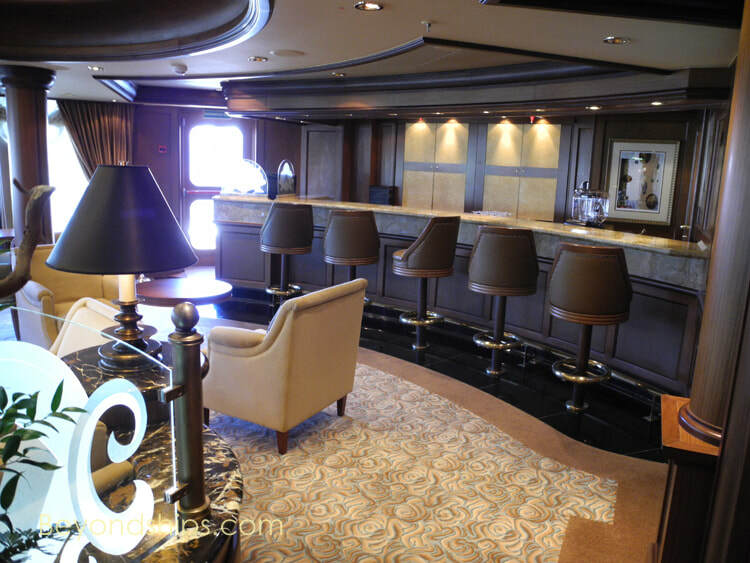 The top suites are assigned to the Queens Grill. It is located high on Deck 11 and is cantilevered out over the port side of the ship. 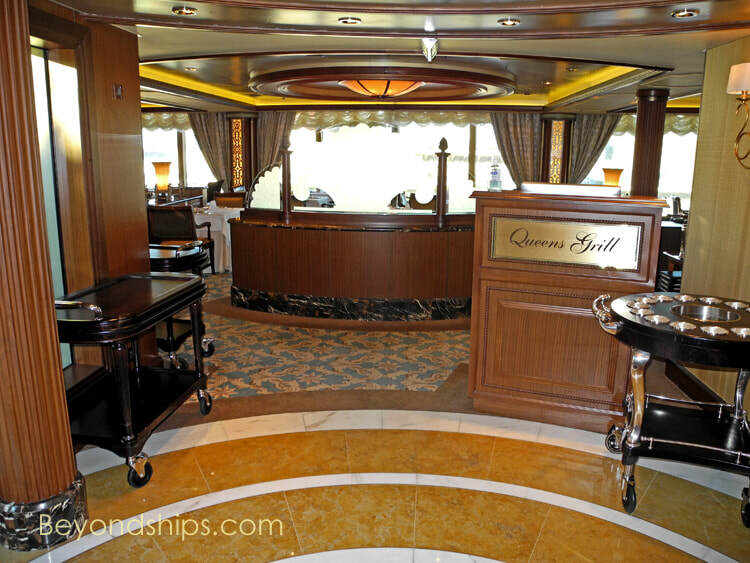 The Queens Grill features the most extensive ala carte offerings on the ship in addition to a menu that features more choices than the other restaurants. lighter in its overall color. 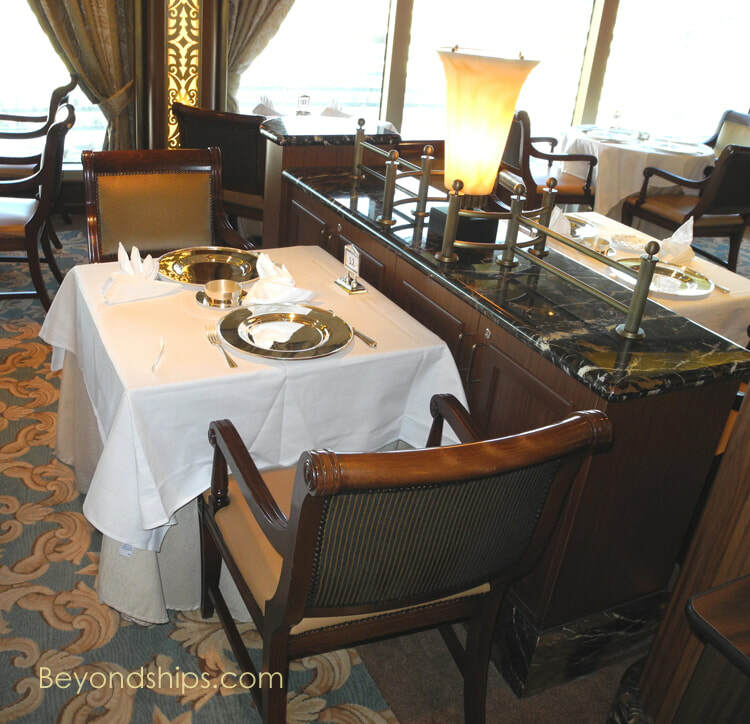 The menu for this restaurant offers less choices than the Queens Grill but more than the Britannia Club or Britannia menus. 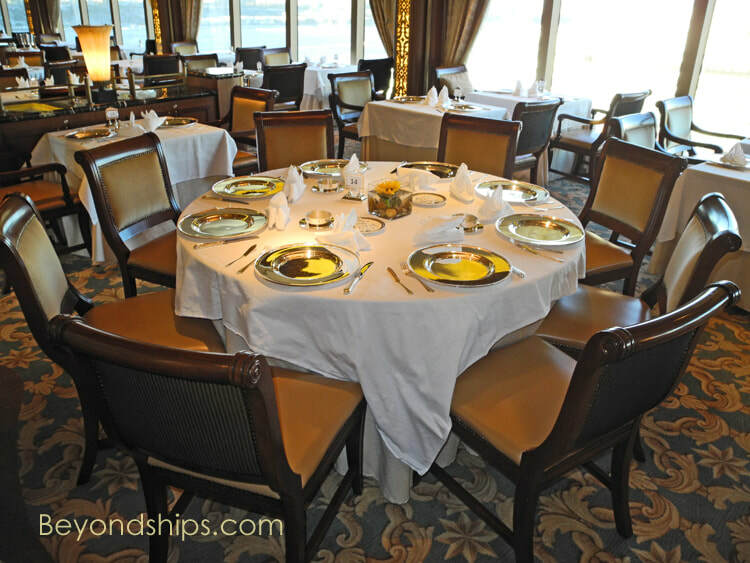 Guests can also select from an extensive list of ala carte offerings. 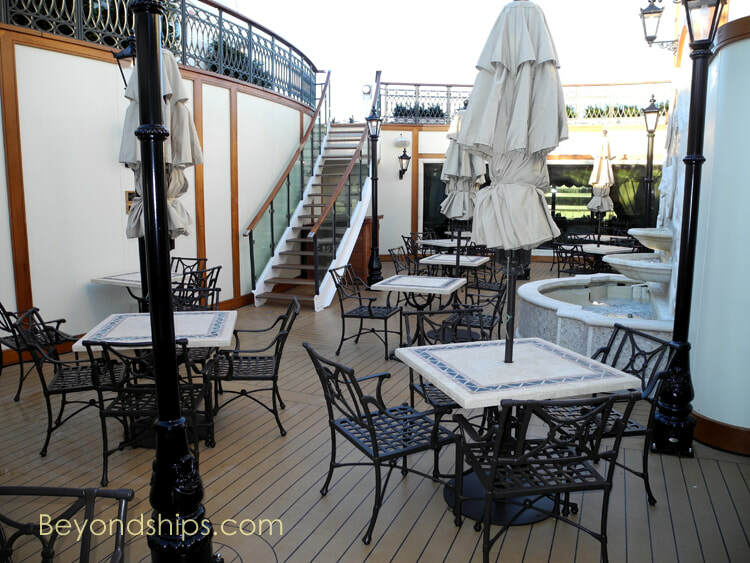 Guests staying in any cabin category essentially can go anywhere on the ship i.e. it is not like the movie Titanic. 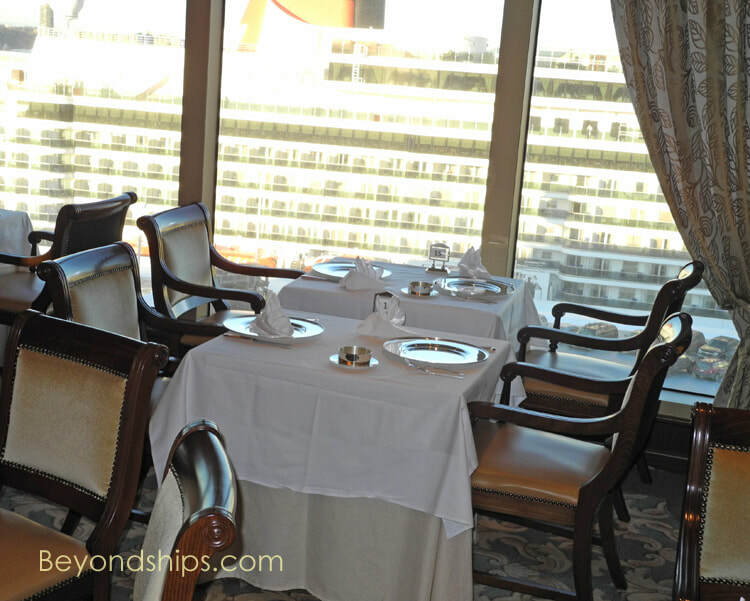 However, guests in the suites have exclusive access to the Queens Grill Lounge (below left), which is by the Grills restaurants and a section of the open decks by the Grills restaurants (below right).